The Stephanie Alexander Kitchen Garden Program educates primary school children about gardening and healthy cooking, by setting up vegetable gardens in primary schools. Over 500 primary schools in Australia have already joined the program. 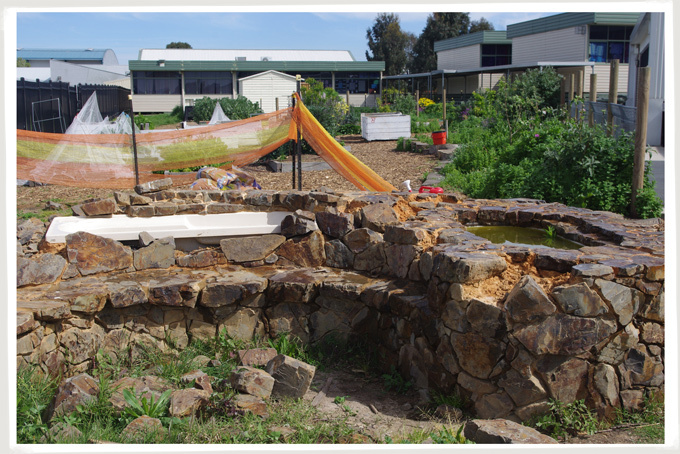 The Narre Warren South P-12 College is in the process of setting up a permaculture food garden as part of The Kitchen Garden Program. 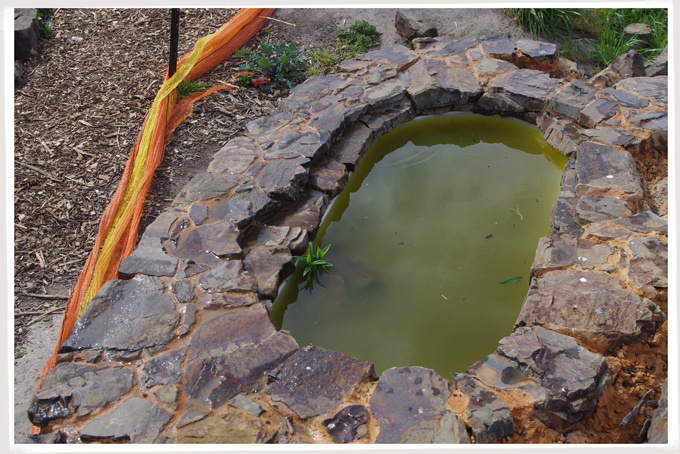 I was commissioned to build a stone feature in the primary school’s kitchen garden. 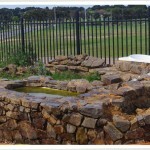 The result is a pond with stone seating as both a beautiful feature of the garden and a learning tool for the children. In class the children learn about the water, plants, eco-systems and the like. At lunchtime they sit around the pond listening to pobblebonk frogs! 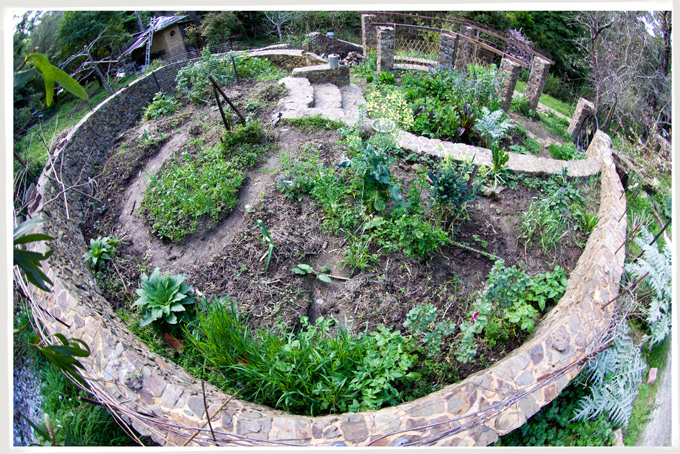 This garden was built in on a very steep block in the Dandenong Ranges in Melbourne, so a lot of terracing was necessary. 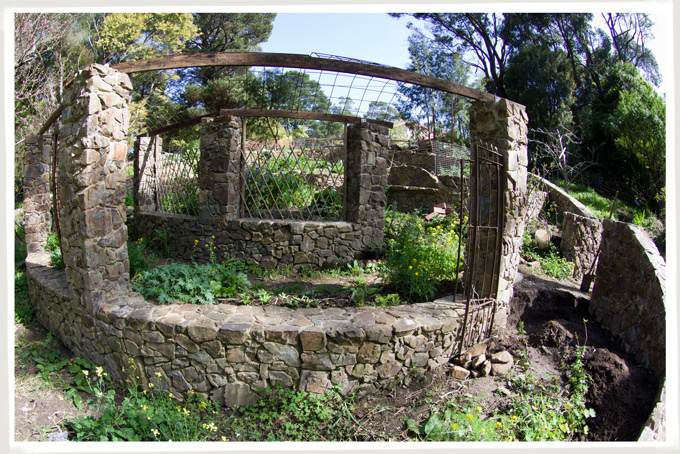 The vegetable garden required a lot of stone in order to create heat. This was essential because the slope is south-facing and the garden stays cool all year round. 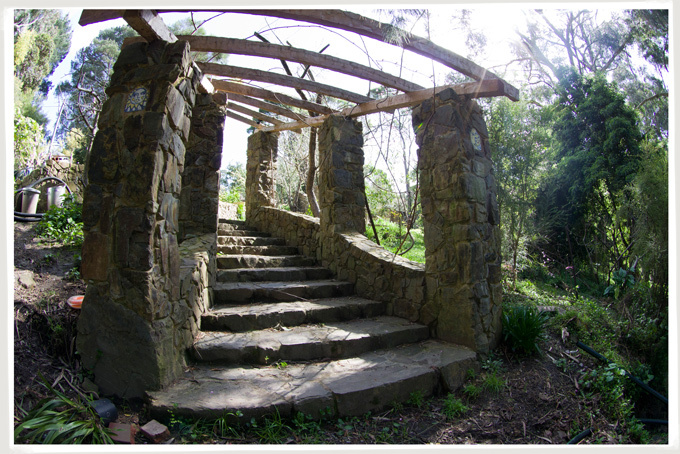 Stone retaining walls and steps from local rock, make the property accessible and add a sense of care and beauty. 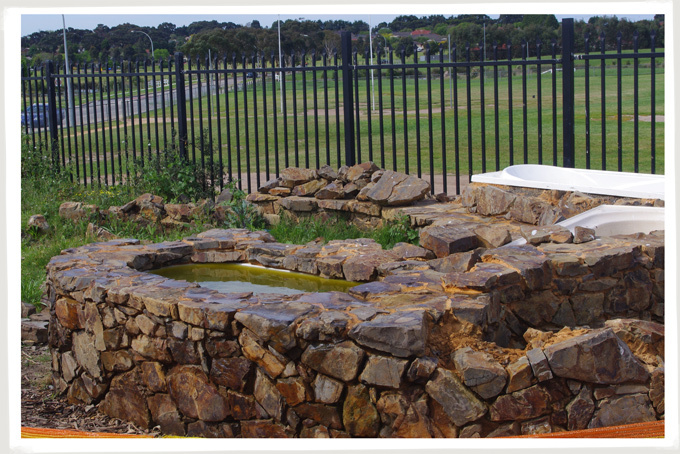 The garden has been designed to offer visual interest through the range of seasons and growth cycles.